If you see pop up that direct you to third-party support site or if you think you have been scammed, read Information on technical support scams and how to protect your devices. 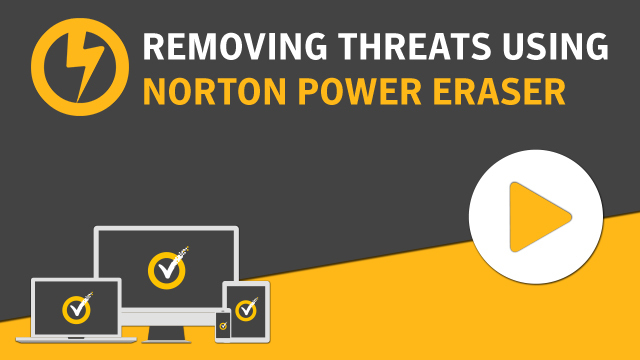 If Norton Power Eraser does not remove the unwanted toolbars, then manually remove them by using the Add/Remove Programs or Uninstall a Program in the Control Panel. Adware generally installs a new toolbar in your browsers and changes your default search engine setting to a third-party search engine. Depending on your browser, reset the browser settings to completely remove the unwanted toolbars and search engines. On the Tools menu, click Manage add-ons. In the Manage Add-ons window, under Add-on Types, select Toolbars and Extensions. If you find any suspicious toolbar listed, select that toolbar, and click Disable. In the Manage Add-ons window, under Add-on Types, select Search Providers. Select a search engine, and click Set as default. Select the unknown search engine, and click Remove and Close. In the General tab, under Home page, enter the address of your preferred page. On the desktop, right-click the Internet Explorer shortcut and select Properties. In the Internet Explorer Properties window, under the Shortcut tab, in the Target field, delete the text after iexplore.exe. In the Extensions window, select the unknown extensions, and click the trash bin icon. In the Settings window, under On startup, click Set pages. In the Settings window, under Appearence, select Show Home button, and click Change. In the Home page window, select Use the New Tab page and click OK. In the Settings window, under Search, click Manage search engines. In the Search engines window, select your preferred default search engine and click Make default. In the Default search settings list, select the unknown search engine, and click X. On the top-right corner, click the Open menu icon, and click Add-ons. In the Add-ons Manager page, select Extensions. Check the list of extensions for suspicious entries. If any, select the extension and click Disable. Click the Open menu icon, and click Options. In the Options window, under General tab, click Restore to Default. In the Firefox window, next to the URL field, click the down arrow and select Manage Search Engines. In the Manage Search Engine List window, select the unknown search engine, and click Remove. Double-click the NPE.exe file, to run Norton Power Eraser. By default, Norton Power Eraser performs a Rootkit scan and requires a system restart. When you see a prompt to restart the computer, click Restart. If you do not want to include the Rootkit scan, go to Settings, and uncheck the option Include Rootkit scan (requires a computer restart). Did Norton Power Eraser detect any threat? Many Norton users have shared their solution for this problem on our community forum. See solutions from users about unwanted popups or ads on Norton Community.